When planning on moving to an international location you don't have to give up your valuables or furniture. Locally based Rockford international movers can help you relocate your entire household to any destination, North, South, or overseas. As partners with an established industry van line, O'Mara Moving and Storage has the resources and contacts needed to take you wherever you want to go. Most people don't move to another country on a regular basis. 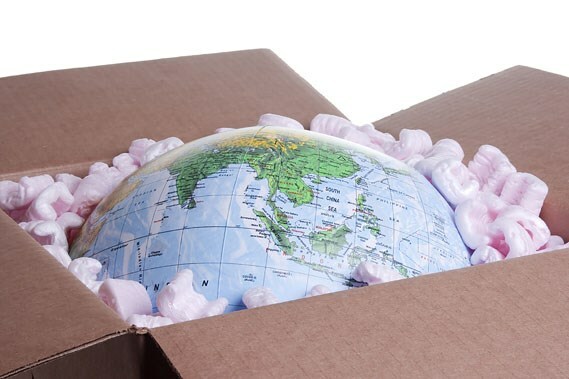 It's understandable that you aren't familiar with the process of an international move. Having served customers since 1865, we have developed the reputation and experience necessary to deal with the ins and outs of a relocation that takes you over water and country borders. Great logistics and planning are a big part of what make a Rockford-based international relocation successful. You'll be surprised at how many vehicles your belongings will travel on to get to a new home. From a moving van to cargo container to steamship, our moving specialists monitor the status of your belongings all the way. As a Rockford-based international moving company, our partnership with North American moving services also gives us a global reach. Their connections within other countries make it possible to provide customers with a smooth international relocation. Whether you are coming here or moving away, we have the skills and transportation you need to keep your clothing, furniture, and vehicles safe. Your time is important and the sooner you can get settled into a new home, the sooner you can get back to work. We are also able to assist companies and employees with their business moves to another location across the country or overseas. Unlike other Rockford international moving companies, O'Mara Moving, can transition the entire office and your staff to another business location. Whether you want to relocate a single employee or fifty employees, just let us know your needs! If you are considering an international move, O'Mara Moving has the tools necessary to streamline it. Give us a phone call or fill out our online form to get started. We'll be happy to schedule you for a free, no-commitment necessary consultation and price estimate.